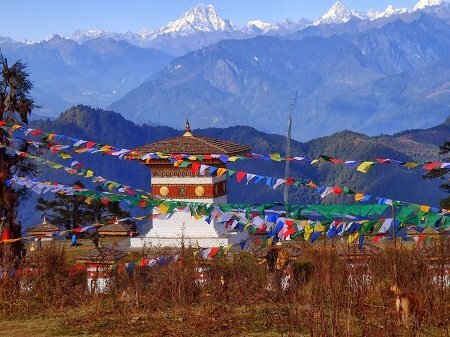 Dochula pass is located on the way to Punakha from Thimphu. The pass is a popular location among tourists as it offers a stunning 360 degree panoramic view of Himalayan mountain range. The view is especially scenic on clear, winter days with snow capped mountains forming a majestic backdrop to the tranquility of the 108 chortens gracing the mountain pass. Dochula, known as the Druk Wangyal Chortens- the construction of these 108 chortens was commissioned by the eldest Queen Mother, Her Majesty Ashi Dorji Wangmo Wangchuk. 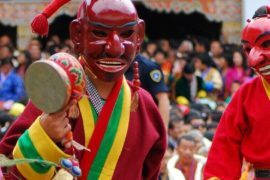 The pass is also popular spiritual destination for both locals and tourists because an important temple is located on the crest of Dochula pass. The Druk Wangyal Lhakhang (temple) was built in honor of His Majesty the fourth Druk Gyalpo, Jigme Singye Wangchuck. 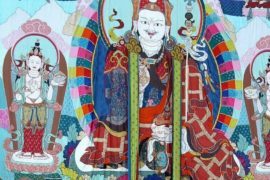 The past and future appears to merge in the details of the lhakhang (temple) and its structure tells the story of a supreme warrior figure, whose vision pierces the distant future in a fine blend of history and mythology. Bhutanese families enjoy visiting the pass during holidays and weekends to picnic and simply enjoy the scenery. It is common to see families and groups of friends seated amongst the chortens, enjoying a packed lunch and hot tea. For tourists this is ideal location to capture beautiful pictures of Himalayan mountain range during clear, warm days.